Well! 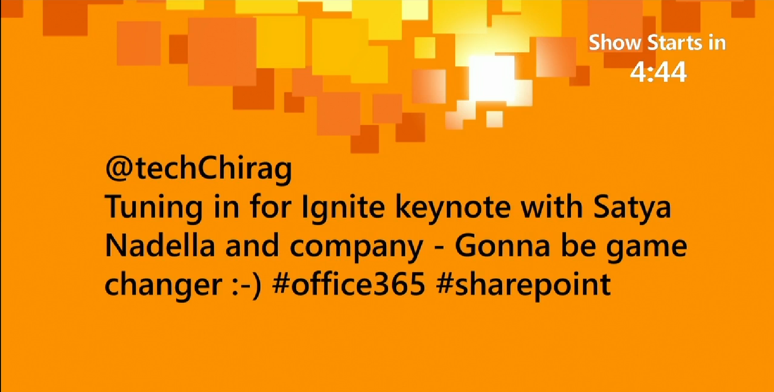 the moment we had been waiting for the inaugural Microsoft Ignite conference in Chicago this week arrived today. Whilst the event was a sell-out with approx. 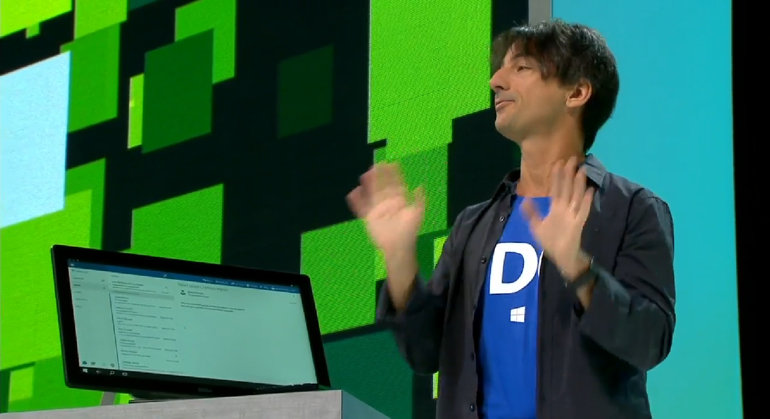 23,000 attendees, I had the pleasure of tuning into MSDN Channel 9 for the keynote on what was a UK bank holiday weekend! 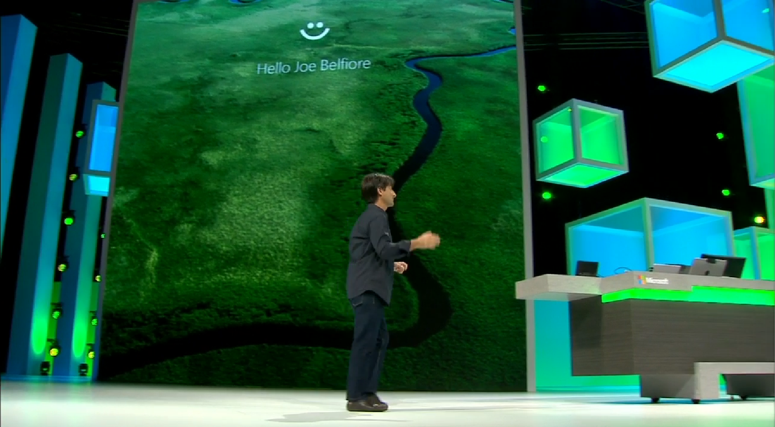 Prior to the keynote broadcast, there was a pre-keynote show with Joey Snow, visiting the demo rooms by Brad Anderson and featuring few eye catching tweets, which coincidentally one of them was mine! 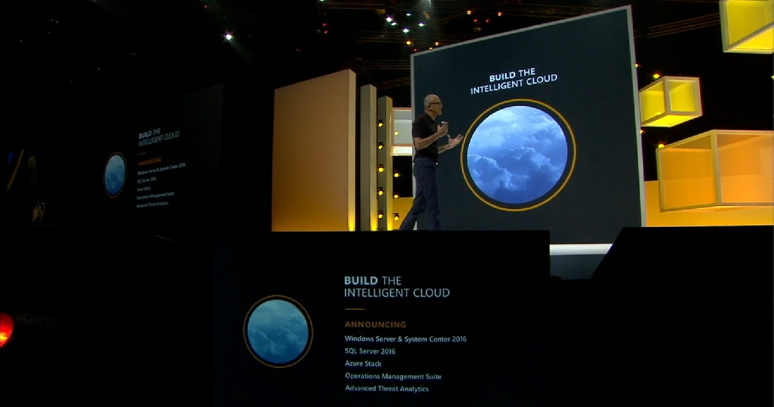 Below are few screenshots from the keynote that was delivered by Microsoft CEO Satya Nadella outlining the strategic direction and some big announcements. 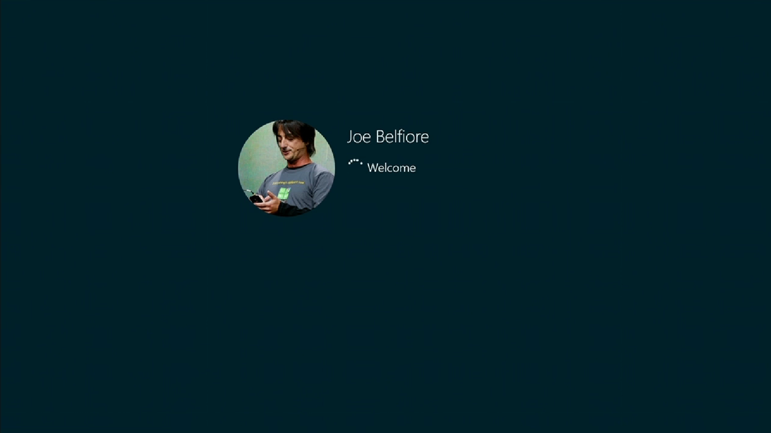 Joe Belfiore demonstrating the universal app switching between mobile device and desktop applications. 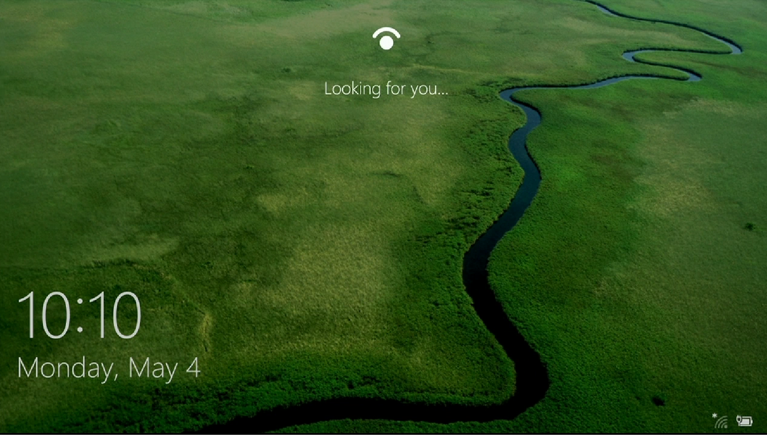 Windows 10 demonstration with face recognition login. 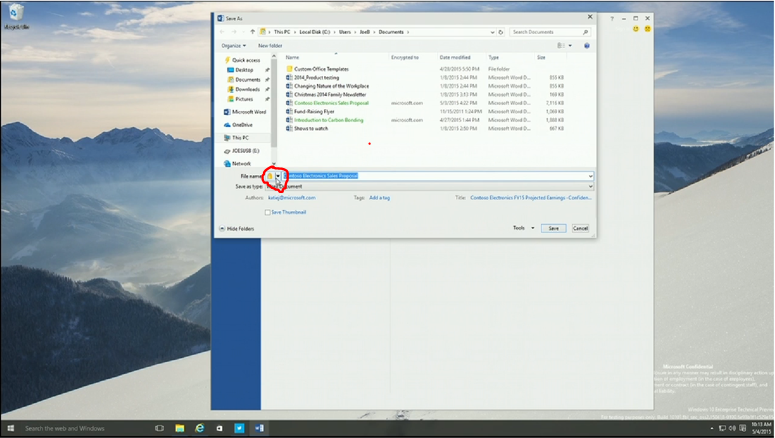 Windows 10 File encryption options at point of saving the document. 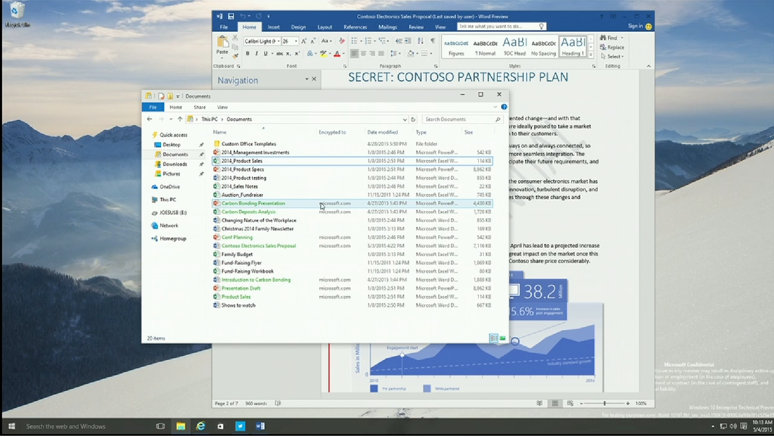 File explorer with encrypted documents. 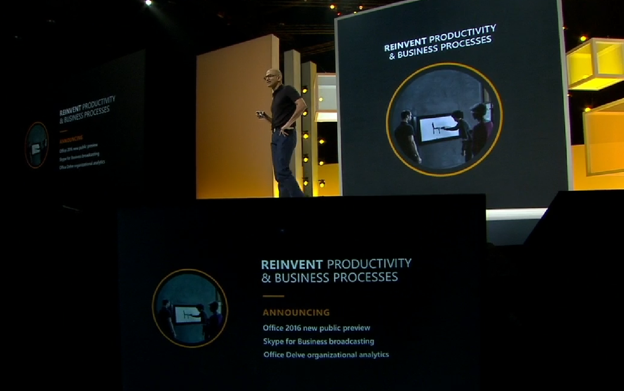 Hopefully you have the flavour of the keynote and announcements from MS Ignite conference and no doubt there will be plenty of content coming our way to consume! 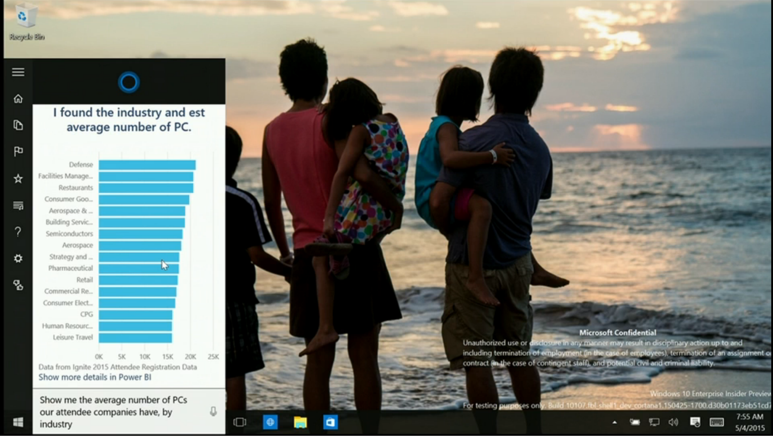 The full keynote recording can be found at Channel 9 video channel.